We're always looking for new ways to make fire starting easier, and we think we found one method that will make your fire starting experience a little easier. Introducing the “Bird's Nest Tinder Bundle,' a bird nest-inspired tinder bundle made of the fibrous materials from nature. 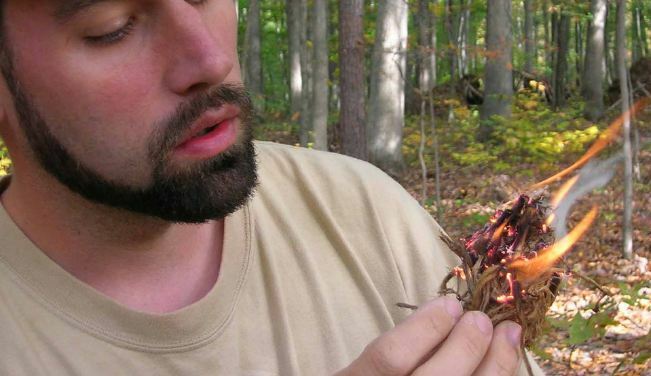 This fake birds nest is easy to make and use to start fires. One important note: it may be tempting to grab an empty bird's nest from a tree but oftentimes the bird's nest includes things that are harder to burn and might prevent you from igniting a small campfire. It's also important to mention a real bird's nest is not the cleanest option. Everything you need to know about building the faux bird's nest tinder bundle is on the next page!